Plus size, small price. Budget Chinese smartphones are looking and performing better every year. The UMI Plus is no exception at the cost of a larger form factor and subpar camera. Whereas the smartphone market in the past tended to gravitate towards the high end, many manufacturers have switched to battling for the best in mid-range instead, leaving the top tiers to giants like Samsung, LG, and Apple. With so many brands and models to choose from, the decision-making process is even more confounding than ever. 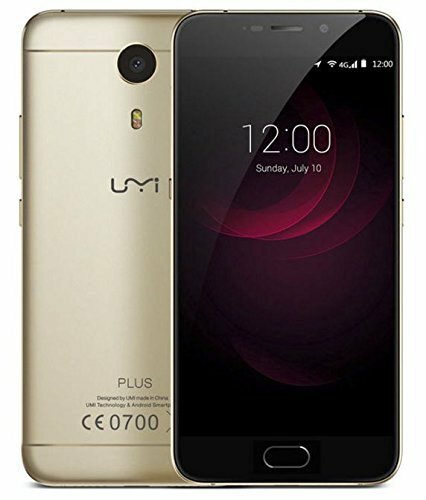 So to summarize, the Umi Plus offers great specs for a sub $200 price. It has a premium feel because of the rounded metal unibody, and rounded glass. It has good mediatek helio p10 cpu and 4gb of ram which will run any apps you require and the 4000mah battery will allow you to run all day long without the need to charge it constantly. It has good cellular and wifi connectivity with slightly slower initial GPS fix. Only slight shortcomings are that the camera doesn’t always display true color and the speaker is really flat sounding without the use of EQ. So to summarize, the Umi Plus offers great specs for a sub $200 price. It has a premium feel because of the rounded metal unibody, and rounded glass. It has good mediatek helio p10 cpu and 4gb of ram which will run any apps you require and the 4000mah battery will allow you to run all day long without the need to charge it constantly. It has good cellular and wifi connectivity with slightly slower initial GPS fix. Only slight shortcomings are that the camera doesn’t always display true color and the speaker is really flat sounding without the use of EQ. Thank you for watching and we hope to see you again soon. By the way, you can use this 6 euro coupon code: UPL6 to catch it from Efox China warehouse at €179.99, and 10 euro coupon code: IGEEKUM to grab it from EU warehouse at €199.99. The whole is greater than the sum of its parts, and nowhere does that apply more than with smartphones. While perfect from a spec sheet vantage point, the UMi Plus feels a bit disjointed at times, with different parts, especially where hardware and software intersect, moving in different directions. The UMi Plus has the makings of becoming one of the best “bang for buck” mid-range smartphones in the market, but it’s the little paper cuts here and there that will leave your heart bleeding. So overall, this phone seems to meet and exceed our expectations of what a midrange phablet smartphone should offer. We have a great Helio P10 CPU and Sharp FHD display that is supported by a large 4000mAh Sony battery. With 4GB of RAM and 32GB of ROM which will give you the flexibility to run all your everyday apps while also giving you enough space to store your music and the great pictures (we hope) taken from the Samsung 13mp back facing camera with dual-tone flash. Thanks for reading our unboxing and expect our full review / report regarding the Umi Plus in about a week We hope to see you then! By the way, you can use this 6 euro coupon code: UPL6 to catch it from China warehouse at €179.99, and 10 euro coupon code: IGEEKUM to grab it from EU warehouse at €199.99. Positive: Beautiful design; good performance; flexible fingerprint sensor; high autonomy; support fast charge. Negative: Relatively heavy. Positive: Powerful hardware; flexible fingerprint sensor. Negative: Poor display photos. Positive: Stylish design; metal case; decent display; nice performance; high autonomy; good price. Positive: High autonomy; beautiful design; good price. Negative: Inaccurate fingerprint reader. Positive: Nice design; good display; decent hardware; low price. Positive: Nice design; decent display; good autonomy; low price. Positive: Nice design; decent performance; excellent display; high autonomy. Negative: Sim and microSD are on the same slot. [Recenzja] UMi Plus – czy rzeczywiście zasługuje na miano flagowca? Positive: Flexible fingerprint sensor; stylish design; good price. Positive: Good price; metal case; decent display; good cameras; long battery life. Negative: Sim and microSD are on the same slot. Recenze UMi Plus: exotický zabiják pro šetřílky? Positive: Good price; metal case; flexible fingerprint sensor; fast charge; long battery life. Negative: Relatively thick and heavy; poor cameras. Model: Among the many budget friendly smartphone lies a smartphone that identifies itself differently from its competitors namely the UMI Plus. It is a well-built unibody phone constructed using high-quality aluminum alloy with beautiful 3D polishing to complete its design. It has a high screen-to-body ratio with a 5.5” Sharp HD 1080p display boasting visible sunlight reading using real-time contrast adjustment. To complement its good display, the phone is powered by a Helio-P10 processor and Mali-T680 GPU which seamlessly provides optimized energy balance between performance and standby. To round up the specifications, the phone is equipped with 4 GB RAM and 32 GB internal storage. The storage capacity can be expanded by up to 256 GB. Having a large memory allows the smartphone to perform well when performance intensive processes such as gaming and High Definition videos are running. As most users consider the camera as an important feature, the UMI Plus focuses quite a bit on this feature. It has a Samsung Phase Detection Autofocus camera with 13 MP sensor, which is able to capture high quality images in just 0.1 s with no shutter delay. This ensures that captured images have less noise and using Dual Processing ISP it will also have a dynamic range of colors. UMI Plus uses a 4000 mAh battery manufactured by Sony to power up the smartphone and it supports Quick Charge PE+ for fast charging. During typical usage, this phone can handle 2-days of usage and more performance intensive applications like gaming can last about 15 hours on a single charge. If the power runs down, the phone is able to charge up to a day’s usage in just 30 minutes and completely charge itself in about an hour and a half. In terms of security, the phone uses a fingerprint sensor on the home button that can unlock the phone completely almost immediately and uses a separate encrypted system to handle its safety mechanisms to avoid tampering. It can register up to 5 fingers making it easier for its users to handle the phone on their both hands. The phone itself runs on Android Marshmallow with pure Android experience ensuring continuous update from Google. Although this is an older build of Android, it runs smoothly and transitions well between apps and present less lag compared to recent Android releases. Connectivity-wise, the phone uses VoLTE for high speed connection and dual SIM cards for ease of use. The second SIM tray can be used for memory expansion. 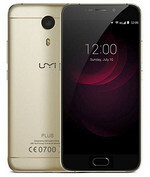 UMI produces the phone in black and white and it is available for purchase via UMI partners. 77.45%: This rating is not convincing. The laptop is evaluated below average, this is not really a recommendation for purchase.